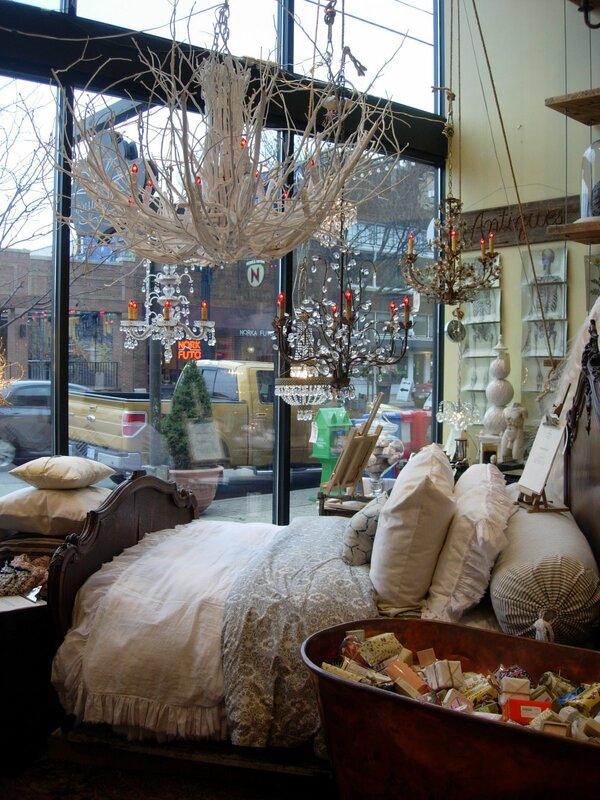 The images above were taken of Collier West, a home furnishings and antique store on High Street in Columbus. The very first thing that caught my attention was the vintage brass bath tub with specialty soaps in all different sizes, shapes, and packaging. That sold me right away and I had to buy a bar. There was an interesting array of plates that when lined up made a skeleton and other quirky things like that. 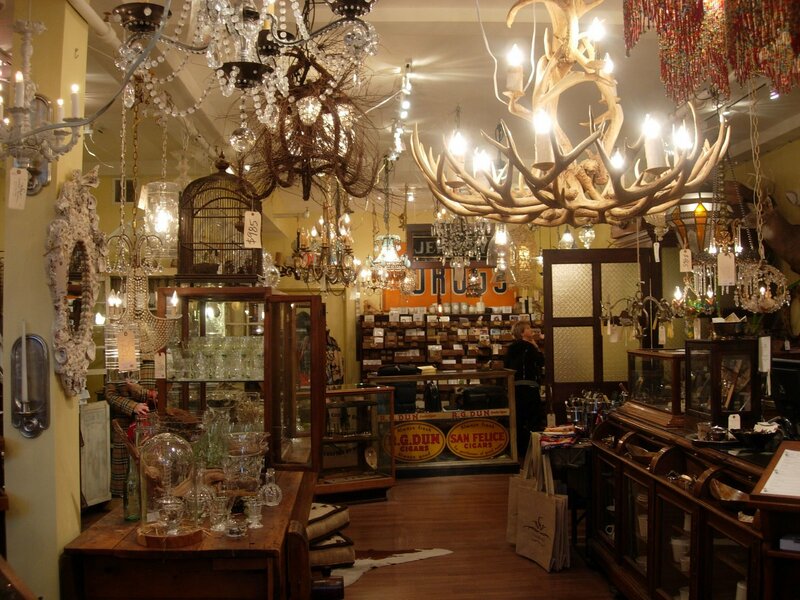 The collection of interesting and beautiful chandeliers overtook the back of the store. I couldn’t possibly list all of the quirky pieces I found but for some reason the miniature mounted antlers stood out to me. The upstairs had blankets, toys, and stuffed animals for a child’s room. There was also very beautiful glassware, which I just found out, by going to the Web site, is mouth blown glass. Everything in the store had this whimsical beauty about it. This was definitely one of my favorite stops in Columbus even though I could only afford the bar of soap. Next Post Is J.Crew becoming more?